Our new plugin, WooCommerce Quick View Pro, was released yesterday to much excitement. But what types of store actually need a WooCommerce lightbox plugin? Let’s look at 5 types of website that will benefit from WooCommerce lightbox quick view popups. I’ll reveal the real reasons why certain products sell better with this method. If you sell similar types of product on your own WordPress site, then you’ll be able to see how the lightbox could transform your sales too. A WooCommerce pizza takeaway website lists each pizza from their menu in a one-page restaurant order form. They want people to be able to configure the options for each pizza without having to visit the single product page. This includes steps such as choosing a base and adding extra toppings. The solution is to use Product Table with Quick View Pro to enable WooCommerce lightbox for each pizza. Customers can click on the ‘Configure your pizza’ buttons to choose their pizza options in a lightbox. You can use product variations for the attribute options, with a separate dropdown in the lightbox for each option (‘Choose a Base’, ‘Choose a Topping’, etc.). Or if you want people to be able to order multiple toppings for extra cost, then use WooCommerce Quick View Pro with the Product Add-Ons plugin to add multi-select check boxes instead! With Product Add-Ons, you can add as many extra product options as you like. List each topping option individually with a price for each one, plus anything else like “Extra cheese”. We sell a lot of plugins to companies who are building a WooCommerce wholesale store. They often contact us to request specific features that are important for B2B sales. A WooCommerce lightbox plugin is ideal for wholesale sales because users already know what they want to order. They’re busy people and don’t want to waste time visiting individual product pages. Instead, just list products (ideally in a wholesale-friendly product table) and let them open a product quick view to select variations and add to the cart from the lightbox. If you’re selling wholesale products with the WooCommerce Quick View Pro lightbox, consider removing the images from the product quick view popup. 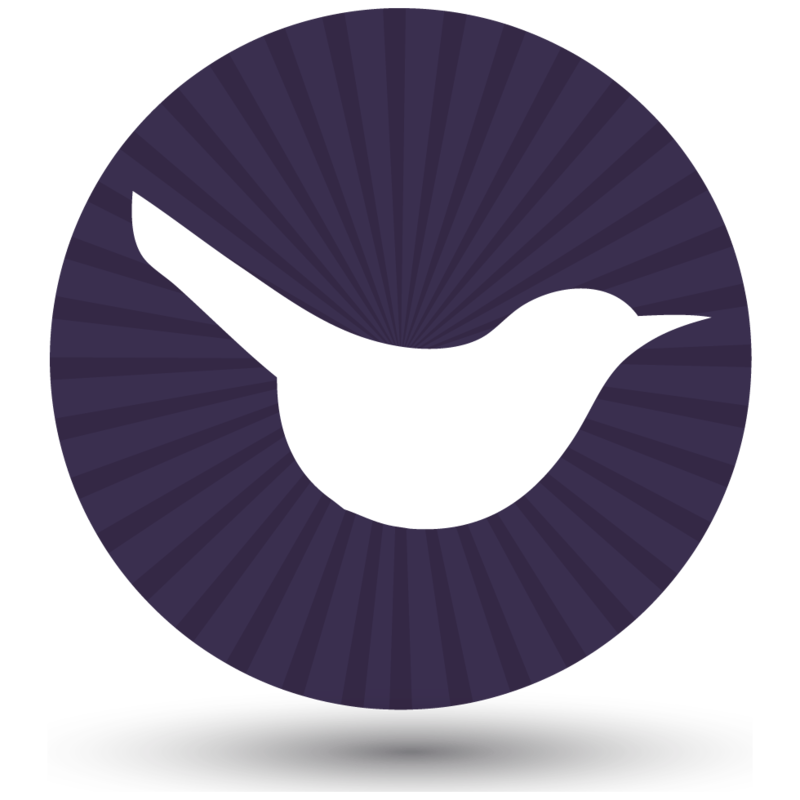 You can easily do this via the WooCommerce lightbox settings. B2B customers don’t care about image galleries because they’re already familiar with your products. They just want to see the purchase information in a simple lightbox. If you’re using WooCommerce to sell luxury jewellery or diamonds, then you may want to charge extra for a custom engraving. The Product Add-Ons plugin lets you create a custom text input box for the custom engraving, and choose how much to charge for this option. However, what if you want customers to order their custom engraved jewellery without having to visit the single product page? That’s where WooCommerce Quick View Pro comes in. You can list your jewellery on the WooCommerce shop and category pages with an ‘Add Engraving’ quick view button. This will enable a WooCommerce lightbox with the full image gallery and zoom features. The lightbox plugin will also include an add to cart button, plus custom engraving text box provided by Product Add-Ons. WooCommerce Quick View Pro integrates beautifully with the ‘Grouped‘ product type built into WooCommerce. The product lightbox also supports the Bundles and Composite Products extensions. 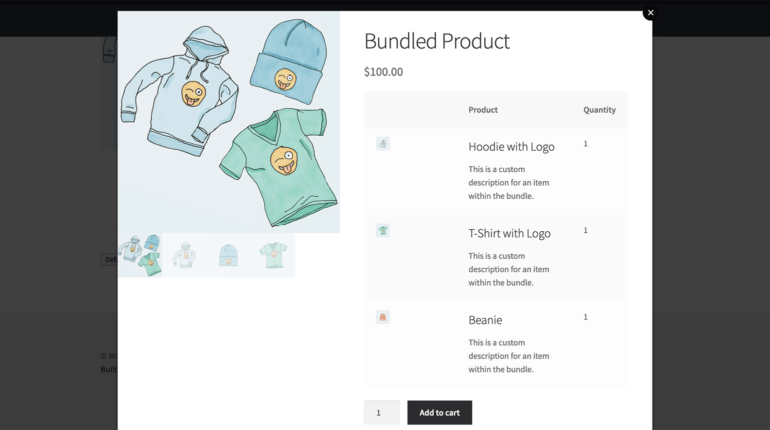 If you want to sell groupings of your products, then you can speed up the buying process by letting customers choose their bundles from a WooCommerce product quick view. This is much quicker than accessing the single product page. When you sell photos, art, or other image-based products in WooCommerce, it’s all about the imagery. The only reason for customers to access the single product page is to see bigger versions of each image, such as image zoom and gallery. But taking people to a separate page to view bigger images feels like overkill, and makes it harder to return to your other products. Instead, add a WooCommerce lightbox to the product listing pages. Customers can open the Pro lightbox and view the images in a popup window. They can see the images close-up and access the multiple image gallery and zoom, without having to visit a different page. You can choose whether to open the lightbox via a button, or simply by clicking on the product image or name in the shop. These are all options on the WooCommerce lightbox settings page. This Pro WooCommerce lightbox for photographers is also a good way to sell image variations without accessing the product page. For example, they can select from a choice of image sizes or print options before adding to the cart. If you sell music in WooCommerce, then you might want to provide embedded audio snippets for each product. This is a great way to provide music samples and convince customers to buy the full MP3 or CD. A lot of people use product tables to create a WooCommerce audio store. This works well, as you can add sample music players directly within the product list view. Other store owners add an audio player to the short description which appears on the single product page. The problem with the second option is that customers have to access the single product page. This isn’t normally appropriate if you’re selling music in WooCommerce. That’s because music isn’t very visual (by definition!) and doesn’t require other elements of the single product page such as big images. Instead, use WooCommerce Quick View Pro to show music players in a quick product lightbox. You don’t want big images of your music products, so use the WooCommerce lightbox settings to hide the images. Instead, just show information such as the product name and short description (containing the embedded audio player) in the modal popup window. It’s the perfect way to sell music! Lots of WooCommerce stores sell customizable products, where the customer can mix and match multiple options to create a bespoke product just for them. 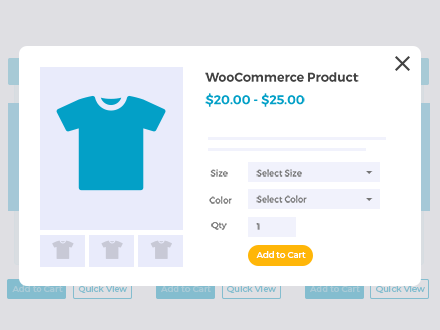 A lightbox for WooCommerce plugin offers a quick way for customers to configure options and add to the cart. Rename the quick view button to ‘Configure’ or ‘Customize’. Customers can use the product lightbox to choose from a long list of variations or other options (if you’re using it with Product Add-Ons). Your customers can create as many custom products as they like, while remaining on the product list page. Will a WooCommerce lightbox plugin boost your sales? By now, we’ve looked at 7 radically different types of product that sell better with a product quick view plugin for WooCommerce. But what about your own products? What information do your customers need in order to make a purchase? Look at the information on the single product page in your store. Do they need to access all of it to convince them to buy? Or could you boost sales by displaying essential information in a WooCommerce lightbox, cutting out the individual product pages? After visiting the single product page, how easy is it for customers to get back to the list of products? Does your website encourage them to go straight to the cart? Or does it encourage them to buy more products first? It’s important that customers can complete their purchase quickly, but it’s equally important to increase the average order value. And the way to do this is to bring customers back to your other products as easily as possible. You can do this by adding a product lightbox for WooCommerce that automatically closes after adding to the cart. Armed with this information, you can decide whether your store revenue would benefit from installing a WooCommerce lightbox plugin. The perfect way to boost sales in all types of e-commerce store. You can use the links option in WooCommerce Product Table to remove these links, so the title of each product does not have to link to the single product page.